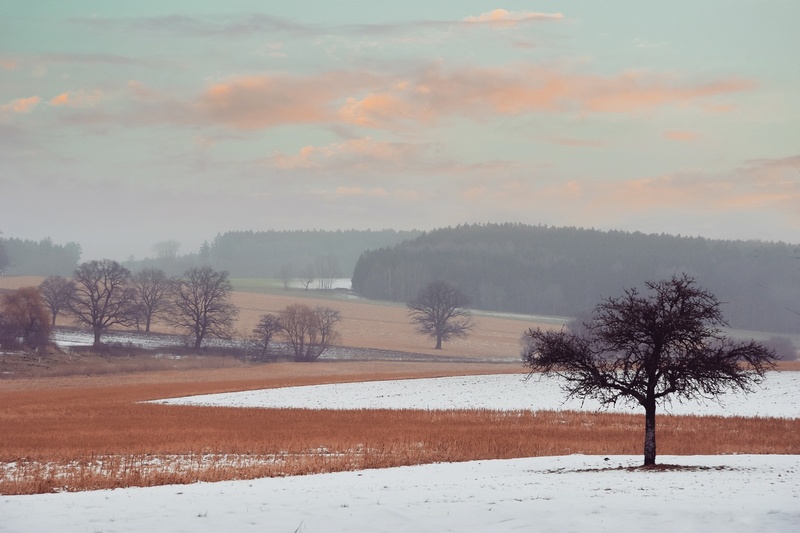 A snowy winter landscape from Oettingen in Bavaria. Very nice colors and composition! This is very pleasing to the eye: colors, leading lines from the foreground to background, deep field of focus, even lighting. The king and his subjects. Enchanting composition, I see poetry here!